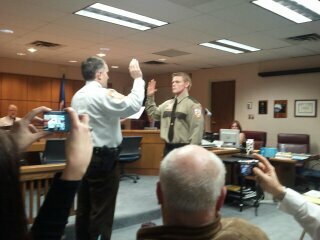 Chad Stenson's swearing in ceremony at the Chisago County Sheriffs Department to the web sit. 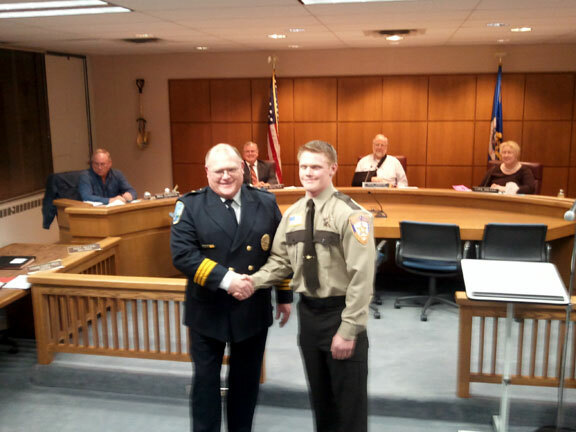 Chad Stenson was sworn in on February 1st and started his duties as a Deputy on February 6th. Chad has a degree in criminal justice and most recently worked part time for Lakes Area PD as a Community Service Officer.